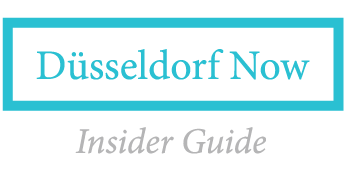 On the lookout for great events in Düsseldorf this April? We have you covered. From the return of popular events such as Nacht der Museen (Night of the Museums) to outdoor markets and concerts, there’s a lot to look forward to this month. Have fun! The sights and sounds of Cuba – live at Capitol Theater Düsseldorf. This action packed musical theater dance production features live performers combined with stunning video projections on an oversized screen. An immersive and transporting experience. This festival focuses on original music. As the name implies, it takes place over the course of a week at various venues. Take a look at the full lineup on Facebook for an overview of each event and its location. The local businesses of Düsseldorf’s Pempelfort neighbourhood invite you to a special event featuring pop-up stores, fashion shows, wine tastings, and special surprises. The Fischmarkt (Fish Market) has returned from its Winter break. Situated in a perfect spot along the river, it features about 90 vendors with food, drinks and interesting products. Get together for some Sunday shopping at this specialty flea market for women. This large outdoor market has been going strong for over 40 years. Drop by and discover the changing selection of second hand and vintage products. Head to Sonnendeck Düsseldorf for great beats and beach vibes at their season opening party featuring excellent local DJ AXLNT. Grüne Markt’s focus is on living an eco-friendly lifestyle. The event features a wide array of responsible products from cosmetics and fashion to food, accessories and even entertainment.